For music educators interested in enriching their music curriculum with authentic world music, NI HAO! 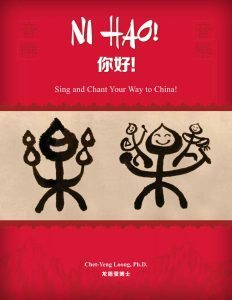 Sing and Chant Your Way to China! * presents nine authentic Chinese songs, chants, and games in an easily accessible format for teachers to use with their students pre-K to grade 5. 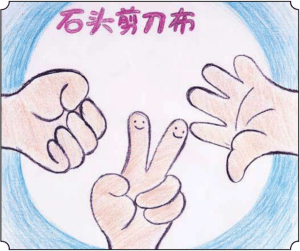 In this excerpt from NI HAO!, Dr. Chet-Yeng Loong shares her engaging percussion lesson Rock Scissors Cloth. In America, this game is commonly called Rock Paper Scissors. In China, children call it Rock Scissors Cloth. *Copyright © 2016 by Impel Training. Used with permission. 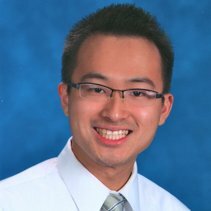 Dr. Loong, a native Malaysian Chinese, has completed all levels in Kodaly and Orff-Schulwerk and is certified in both of these methods. Before coming to the University of Hawaii, Dr. Loong taught music in the public schools of Malaysia and at Baldwin-Wallace College, Berea, OH. She has presented at local, state, national, and international conferences. Dr. Loong has also presented internationally in Korea, Malaysia, and a series of Early Childhood Music workshops in China. Currently, Dr. Loong serves as Chair of the music education area at the University of Hawai`i, president of the Hawai`i Music Education Association. She also serves on the editorial board of the Orff Echo, Korean Journal of Research in Music Education, a reviewer for the Malaysia Music Journal, and a member of the steering committee of the Alliance for Active Music Making in General Music Teacher Education. She was the past Conference Chair of HMEA and past Chair of the AOSA Research Committee. Dr. Loong is the Director of the Bambini, Stellini and Angeli Ensembles for the Hawaiian Youth Opera Chorus. In 2012, Dr. Loong was awarded as the outstanding music education alumni from the University of Akron where she completed her Bachelor's and Master's degrees. I wish I’d had this a couple of weeks ago. I just played this game with my students last week–but in English. I won’t see these students again, so I don’t get a do over. I’ll just have to use it with my new batch of kiddos! What a wonderful lesson here from Chet-Yeng! As always the process is clear and thorough offering an authentic gem that will engage kids and is sure to bring joy to the class! Is there an audio recording of this? I wouldn’t want to mess up the pronunciation! Yes, the motion and pronunciation are in the DVD and SMARTboard file. I would love to see this book available as an eBook. If postage to Canada is $24, I’m certain it will be crazy expensive to get it sent to Australia! Would love a pronunciation guide for the Chinese. Yes, the audio and video are available in the SMARTboard and DVD. I purchased the book a few weeks ago and audio and video files on the DVD are great! SMART board files are also included. And it is interactive and very easy to use. This is one of many charming, easy to teach activities in the book. Pronunciation models are provided on the accompanying SMART Board files. The teacher can learn the Chinese words right along with the children. The book is useful for general music, classroom, and Chinese language teachers. Provides a great way to enjoy traditional Chinese repertoire, while actually learning to speak Chinese. a school in my area has a Chinese, Spanish ,and German teachers trying to teach PE, Music and Art in their respective languages and have no understanding of Orff, Kodaly or any music literacy. This is an excellent resource for the General Music classroom! The cultural video is an excellent balance of historic China and modern day. The lessons were a huge success in my classroom and I appreciate the Orff arrangement extensions. Thank you for the fabulous resource! Leo L. loves Studio 49 instruments because they are high quality and superior to other instruments he has played.